In a short time, you will learn all the basics to get started with Adobe Premiere. The workshop comes with a free digital tutorial of the workshop to use as a reference after the workshop. Being apart of the Adobe CC suite makes Premiere attractive to independent producers, television productions, and web-based companies. Learning premiere is ideal for any multimedia video editor. If sessions are fully booked, email lavarro@necstudios.com to be put on the waiting list, or to be notified for future sessions. Students can either rent a computer for an extra fee, or bring a laptop capable of running Premiere. 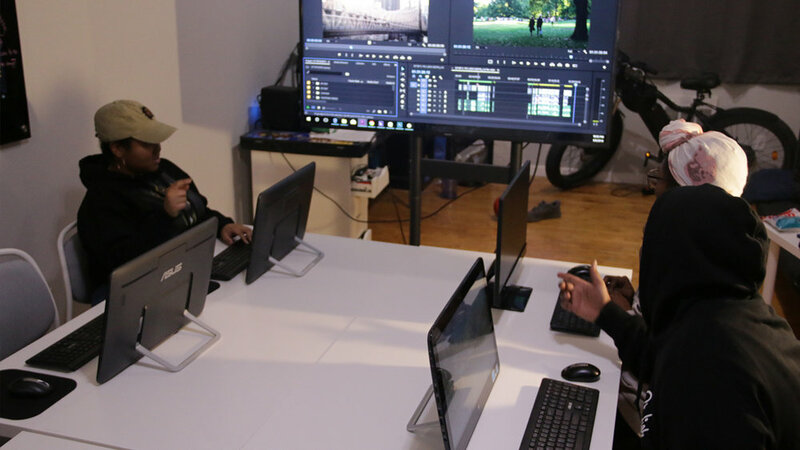 With Necessary Academy, not only are the basics of Premiere taught but you also get insights to working as a professional editor from a professional editor. The program is designed to put you on the road to becoming an exceptional editor. Classes and lessons are taught using real life editing projects. Students are encouraged to bring their own projects to learn with. If students don't have projects on their own they will be provided with working files to learn and practice with. Registration to the class unlocks access to the exclusive Necessary Studios Editing online community. Students will be able to network with past, present, and future students, as well as keep in contact with instructors. By enrolling, you verify that you have basic windows literacy and you have read and agree to our workshop policies.